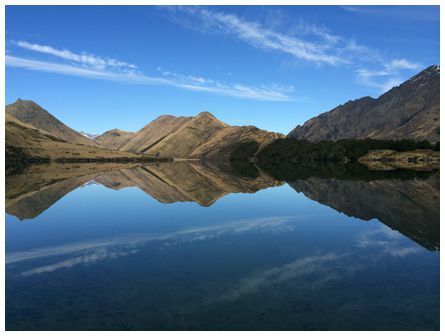 Aaron wrote 'reflections over Moke Lake, Queenstown on Thursday 28th August 2014. Not showing much interesting weather but it suited the skiers and tourists just fine! 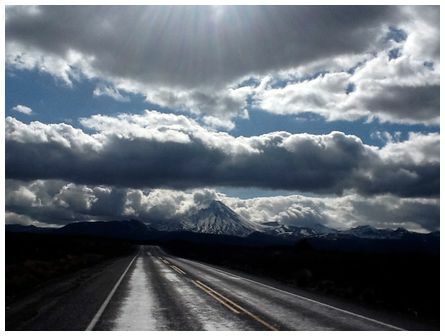 'On my recent trip to Wellington, heading south on Desert Road, Mt Ngauruhoe from Desert Road. Taken at 14:00 on Tuesday 9 September 2014 with my iPad' wrote Rosemary. 'Aurora australis from near Te Anau at 21:20 on 27 August 2014. Canon EOS 400D 1600ASA f5.0 around 40secs exposure. The first aurora spotted so far this winter... Very lucky to catch due to persistant fog about to roll on in!' wrote Peter. 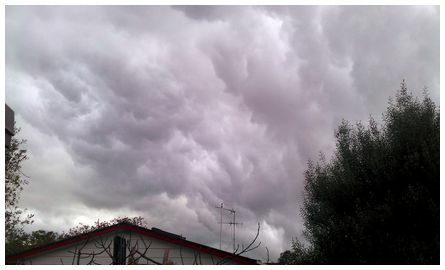 'Very active cloud between heavy downpours looking north from Onehunga in Auckland, taken at 14:38 on 13 September 2014' wrote Wayne. 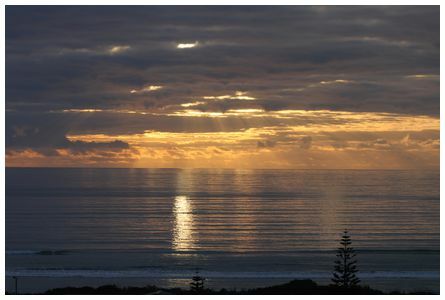 'From Red Rocks on Wellington's coast looking at Cook Strait an unusual phenomena. A rainbow in the shape of a ball resting on the sea. 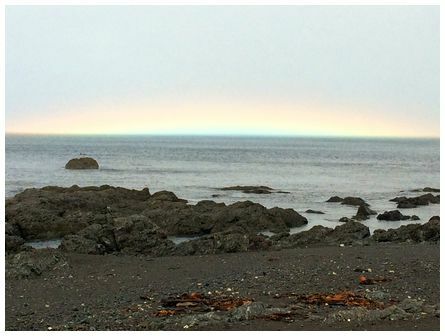 Photograph taken at 11:30 on 13 September 2014 in light drizzle during a mountain bike ride The rainbow had previously been normal before "sinking" into the sea' wrote Tim. 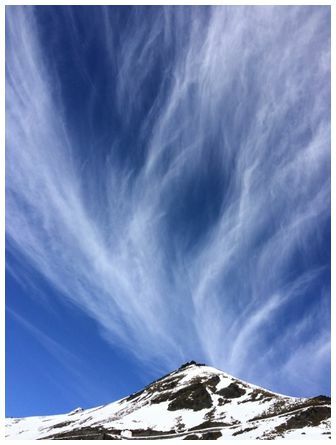 'Standing in the Remarkables Ski Area carpark about to go skiing I saw this interesting cloud formation looking towards the south. We were in the middle of a long spell of fine weather. Taken with my iPhone 5 at 10:18 on 30 August 2014' wrote Lindsay.